Posted on 5th January 2018 Author CoinSpectatorCategories ContributionsLeave a comment on Patriot Mall: when real estate meets cryptocurrency investments. Learn how a Russian crypto developer is heralding a pioneering local project. Many exciting new blockchain projects are surfacing throughout the world, due to this market gaining momentum on a global scale. Russian developer Crypto Patriot, for instance, is collecting funds to build “Patriot Mall,” a trade and entertainment mall in Tyumen. This endeavour is especially unique because it is not purely digital, but it relates to developments in the physical work, spanning different industries such as real estate, commerce and more. 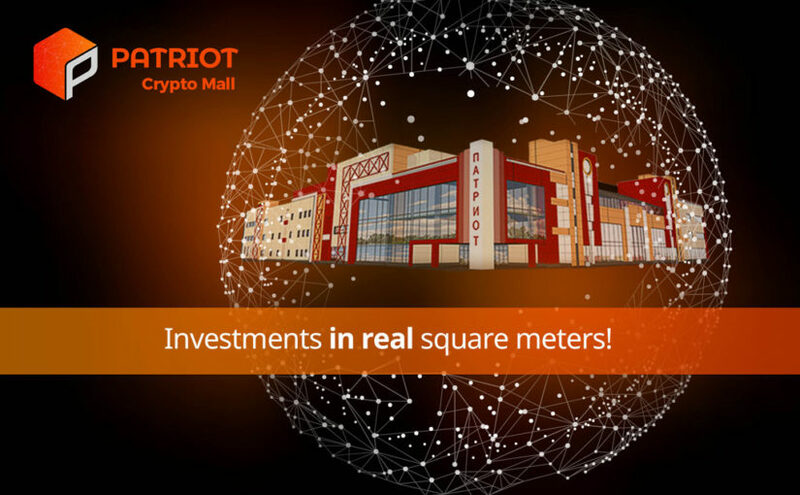 The Crypto Patriot team plans to construct the aforementioned mall with the help of investors, who would fund the project by acquiring PPMT tokens and touch dividends from the lease of shopping space or by selling their tokens on crypto exchanges. Patriot Mall will become the first project of its kind in the Eastern Administrative District of Tyumen, which has never had a trading facility hosting shops of different sectors. For this reason, the team is confident that the project will draw a notable fraction of buyers, as well as leaseholders. The physical space the mall will occupy amounts to 35,194.3 square meters. The project creators concluded partnerships with most potential leaseholders. The ground floor of the mall building will host a farmers’ market, and the organizers have signed an agreement with local agricultural companies. The company sponsoring the project has already invested $5 million, but to finish the construction works, it plans to issue internal tokens and use the ICO to collect 9,450 ETH tokens. The founders of the project aim for the mall to become functional a year after raising the necessary funds. As for the first dividends, investors will be able to receive them as early as three months following the inauguration of the shopping mall. The most vital component of the Crypto Patriot initiative is the introduction of the Patriot Project Mall Tokens (PPMT). These tokens will be linked to the total leasable area of the mall: every PPMT will amount to 0.01 square meters. Token holders will retain the rights to their allotted part of the leasable area and will receive dividends from the lease. The originators of the project assert that the investment model is hybrid, being a blend of stock investment and real estate financing). The tokens will be dispensed one time only, through the Ethereum cryptocurrency platform, with a total of 1,5 mln tokens. 99.5% of such tokens will be distributed during the crowdfunding process, while 0.5% will serve bounty programs. 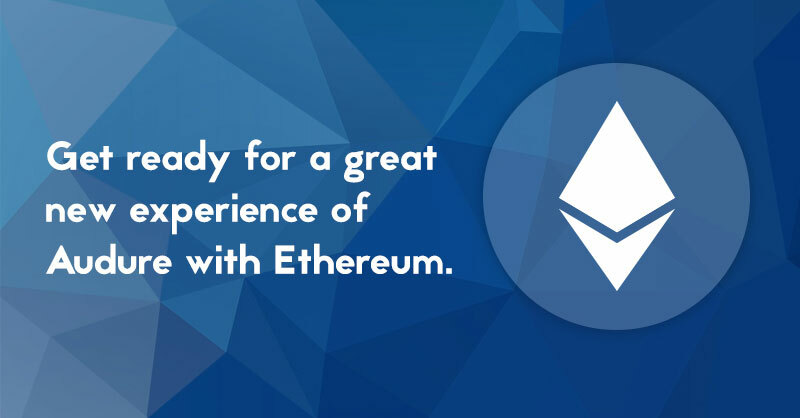 A single Ethereum token will be exchangeable for 140 PPMT, with a system of bonuses related to the acquisition of tokens in place since the pre-sale, which started on December 15th, 2017. Propy, the world’s first international real-estate marketplace, has just launched the alpha open version of its blockchain-based transaction tool. This new transaction tool will allow individuals to buy and sell properties in California using Bitcoin (BTC). Propy is delighted to announce that the alpha open version of its real estate transaction tool is now up and running. Propy, which believes that it is the first international real-estate marketplace in the world, leverages groundbreaking blockchain technology to solve many of the problems relating to purchasing property across borders. It allows users to purchase property online, and is an excellent outlet for quickly transferring bitcoin wealth into hard assets. The advent of Propy is great news for the crypto millionaires, crypto traders, and blockchain application enthusiasts looking for a platform that will provides real benefits to them by making it easier to diversify investment through real estate purchase. In addition to increasing real estate turnover by reducing the execution time, it will also minimize the risk of dishonest recordkeeping in mortgage processing significantly. No wonder Propy has already been touted by various advocates as the Amazon of real estate. Propy initially includes blockchain hashes of the deals into title deeds for recording in official land registries and then offers land registries to replace their databases with the decentralized Propy blockchain registry. The Propy team envisions that, ultimately, the Propy Registry will be adopted by many jurisdictions as an official ledger of record. The execution of each purchase on Propy will involve the use of PRO tokens to unlock smart contracts. Allows users to search for properties and brokers in global cities in their native language. Also, provides broad information about neighborhoods, such as walkability, air- and noise-pollution and green building certifications. Integrates a blockchain ledger for governments to enable title deed issuance for properties instantly online, in a secure and cost-effective manner. Propy recently entered into a Memorandum of Understanding with the government of Ukraine and completed a transaction in which a property in Ukraine’s capital Kiev was remotely transferred on-chain and across borders, which Propy believes is historic for the entire Ethereum community. 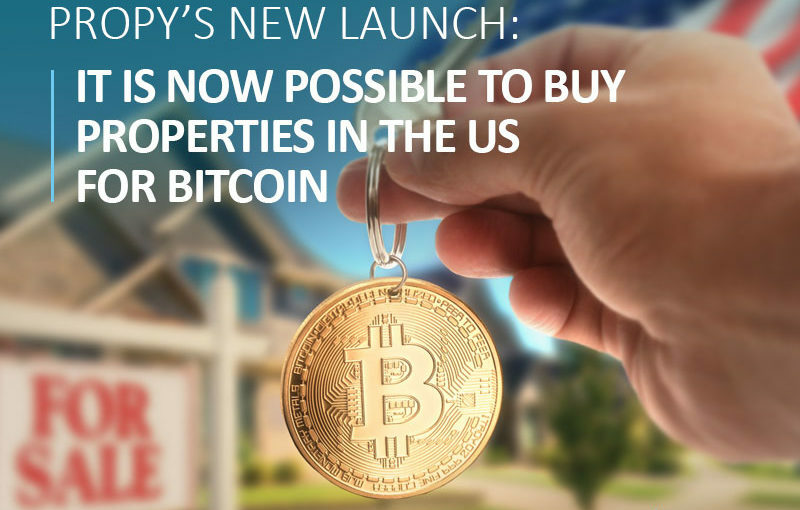 With the launch of its new transaction tool, Propy will now make it possible to buy and sell properties in California for BTC by following a simple nine-step process. Payment in dollars will be available next year. The trendsetting media BuzzFeed also mentioned Propy recently, describing it as one of emerging businesses capable of “bringing transparency and security” to real estate markets. Following the launch of its transaction tool, Propy is planning to start within the next week an education program for local brokers in California via demos and meet-ups. The company is also looking to start a comprehensive marketing campaign aimed at attracting actual home buyers. The team is currently working on a marketing plan that will be made public in January 2018. A substantial scaling of transactions is expected to take place in the first quarter of 2018. About Propy: Propy is the world’s first international real-estate marketplace. The team at Propy.com facilitates connections between international entities to enable the seamless purchase of international real estate online for the first time. It aims to solve the problems facing international real estate transactions by creating a novel unified property store and asset transfer platform for the global real estate industry. Open Trading Network, the first 100% collateralized decentralized exchange, is breaking new grounds in the industry by making exchanges between the blockchain networks fast and secure like never before. The company’s vision is to build a set of applications aimed at making the crypto world open to the common man and all market participants. Open Trading Network Foundation, a non-profit organization based out of Zug, Switzerland, is all set to revolutionize the rapidly expanding global crypto economy by developing a secure system combining numerous isolated blockchain networks into a unified open network. 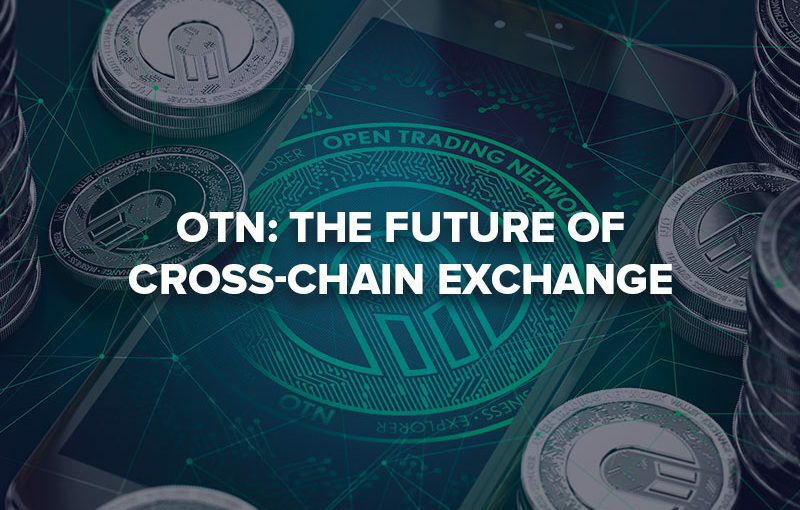 World’s first 100% collateralized decentralized exchange, OTN will allow instant transactions between a wide myriad of blockchain networks. Open Trading Network Foundation claims that this innovation will make lives easier for businesses, individuals, traders, and regulator, while addressing the need for speed and liquidity. The global market for cryptocurrency has developed at a breakneck speed in the recent years with an exponential growth in the number of cryptocurrencies. The objective of OTN is to make the benefits of this growing crypto economy available to common users and all market participants. They want to accomplish this by creating a set of mass market applications for efficient management of crypto assets, performing cross-market transactions, secure storage of savings, accessing the global marketplace, working with tokenized loyalty systems, and making purchases from a crypto wallet. The maiden product from the network, OTN.Wallet is in the final stages of development, and expected to be launched very soon. This multi-currency wallet will serve as a universal tool to store and exchange all types of cryptocurrencies or digital assets. Users will also enjoy several other important features such as fast and safe transactions, a balanced portfolio, direct exchange, P2P transfers, analytical tools, profitability reports, asset tokenization and detokenization, and much more. Following the launch of OTN.Wallet, the network’s next two products OTN.Business and OTN.Exchange are expected to arrive shortly. 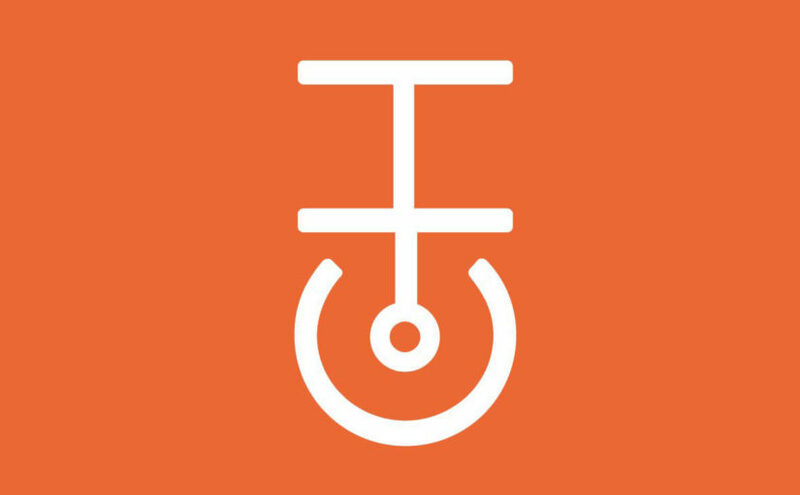 OTN Business is a business application supporting several widely-used operations, including issuing tokens and listing them on exchanges, issuing tokenized loyalty cards, crowdfunding, tokenization of services, integrating payment schemes that use a large number of tokens and cryptocurrencies, integrating custom centralized matching engines, etc. Whereas, the OTN Exchange will enable superfast placement or orders, maintaining complete transparency of all orders. Instead of following the common path of collecting funds via an ICO, Open Trading Network has been created in partnership with the distinguished trading business IQ Option. In addition to financing the creation of the network, IQ Option is also providing the platform for its first commercial use. Staring from October 7, 2017, Open Trading Network Foundation has initiated the process of issuing a total of 100 million OTN tokens every Monday and over the following 104 weeks. The exact distribution plan for the tokens is as follows. 30 million will remain with the OTN foundation for the purpose of future distribution and attract strategic partners. About Open Trading Network: Open Trading Network is the first 100% collateralized decentralized exchange which will allow fully secure exchange between the blockchain networks. OTN foundation is committing itself to develop the network described in the white paper and also several applications to help the different stakeholders to benefit from the network. January 1 will be the start of the Public Sale for ShipChain, the project that will use blockchain to change the shipping & logistics market. ShipChain encompass all methods of freight, and will include an open API architecture that can integrate with existing freight management software. Simply put, it’s a fully integrated system across the entire supply chain, from the moment a shipment leaves the factory, to the final delivery on the customer’s doorstep; trustless architecture, and transparent blockchain smart contracts.The movement of goods has a significant and growing influence on the daily lives of people around the world. According to a market report published by Transparency Market Research, “The market’s global value was $8.1 trillion in 2015, and is expected to grow to $15.5 trillion by 2023 , making it one of the largest industries on the planet. The industry is currently 10% of the United States GDP. Today, the supply chain has serious bottlenecks. The lack of a unified platform prevents the various players from interacting efficiently. Most of the participants in the supply chain use outdated ways to track their shipments. Given that upwards of 65% of the value of a company’s products or services is derived from its suppliers and its supply chain, utilizing older highly ineffective systems results in tremendous amounts of wasted time, resources, and money. ShipChain was established to address the most significant problems facing the logistics industry today. The fully integrated system will track across the entire supply chain–from the moment it leaves the factory, field, or farm–to delivering the finished product to the customer’s doorstep; a trustless system, and transparent blockchain contracts. The ShipChain system uses an Ethereum smart contract that can be used by anyone to orchestrate a shipping escrow on the distributed ledger. The overall shipment completion will be stored on the main Ethereum blockchain, and to keep costs low, individual tracking waypoints and load data can be stored and verified in an associated side-chain operating on the ShipChain Protocol, such as the one ShipChain Foundation.” Large partners will be able to operate their own ShipChain side-chains, with aid from ShipChain Foundation. 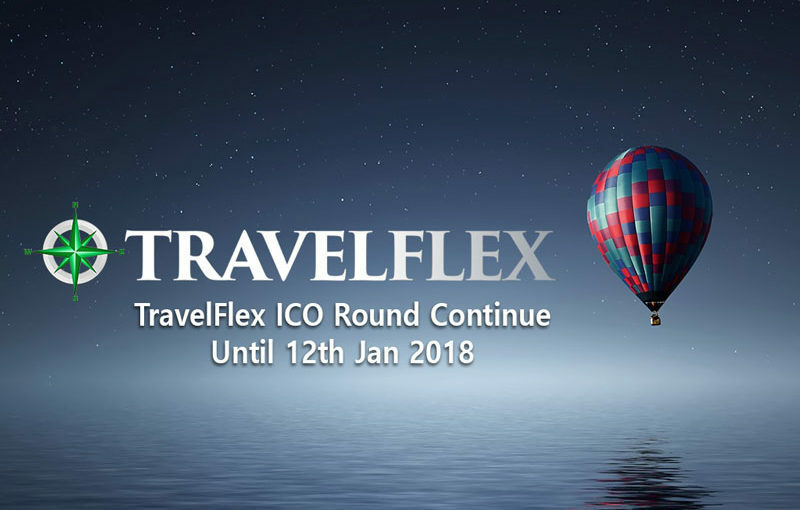 Public sale will be held in January 2018. 29.17 million SHIP tokens will be sold.It is planned to raise approximately $10 million in ETH. $0.342 per token is the ICO price. Silicon Valley truck-sharing startup, DOFT (Do Freight Transportation), is working on the mining protocol pursuing the goal of obtaining the critical mass of movement needed for the collaborative transportation web to become operational, as well as to create and fairly distribute Doftcoin tokens among the trucking community. There are two basic ways to increase number of active truck drivers in the system: A) Collect geo-location big data which is shared by drivers who run the Doft app while driving a truck. B) Growing the drivers’ community so that more people send their location data. Both actions are being rewarded with Doftcoins through the Doft Driver application. In this way, early adopters of Doft network are gaining value and thus being incentivized to take part in the establishment of the network before its technological benefit takes effect and the transport service is available. Once the critical mass of movement is reached in a certain geographical region the truck-sharing and other smart transportation services will become instantly enabled in the region. The rate of distribution of Doftcoin via movement-based mining is designed to encourage the growth of local Doft communities. Thus, it is proportional not only to the distance you are driving, but also to the growth of the community in your area motivating users to promote the Doft network in their own region. Doft is also running an ICO campaign offering its tokens with a 75% bonus during New Year holidays. Bonus will be available starting from December 27, 4:00PM UTC. Anyone can become an owner of Doftcoins (DFC) and enjoy the benefits of being a part of the transportation community. The Doftcoin token will be used to access all the services and products provided by the platform. Today Doft accepts only USD when a customer pays for the services. In the nearest future Doftcoins will become a number one payment method within the network. Doft – a Silicon Valley based startup – developed a mobile app for the trucking industry that provides freight matching services. The on-demand instant freight and truck matching application has been labelled the “Uber of trucking.” Doft aims to improve the lives of truckers and provide ever-increasing value to shippers and carriers through its peer-to-peer service. Doft is changing the way American truckers and shippers work together, they are now taking it further with a Doft ICO crowdfunding campaign which will be live until January 1, 2018 0:00 AM UTC. Doft naturally adapted this concept to funding, allowing Doft’s users to be part of the project by contributing and receiving Doftcoins (DFC), which can later be used within Doft to pay for services and goods in Doft App for shippers and truckers, Load Board and Doft Store where Doft, being an authorized Garmin reseller, sells trucking related goods. The market of financial derivatives, including binary options, has always been an attractive one for many people willing to earn money. However, due to the shady schemes and scams, the binary options have lost their reputation and have even been banned in some countries. Now, as the blockchain technology is gaining momentum, many fields are experiencing a rebirth. And this is exactly how Betex is bringing a revolution to how the binary options work. Betex Binary Options Platform: How It Works? Betex is a blockchain peer-to-peer platform for transparent financial derivatives trading. 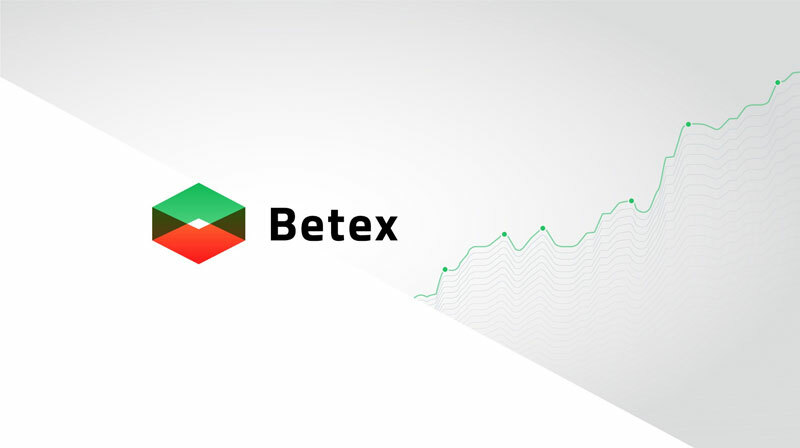 Contrary to the shady traditional models, Betex uses the blockchain technology to keep all the information public and maintain the equal conditions for all the players. Within Betex, users bet against each other, which is recorded in the blockchain, where everyone can have access to. The rates are taken from several liquidity providers/exchanges. Thereby, the platform is not able to manipulate results. Thanks to the smart contracts, users do not need to make deposits or wait for the payouts. The bets are made directly to the smart contract, and the payouts are instant to the users’ ETH wallets. Finally, users will be forming one shared liquidity pool for each asset, instead of creating multiple ones. 95% of funds are distributed among traders who make correct assumptions, while Betex charges only 5% commission. To vividly show the advantages of the common liquidity pool, Betex has already launched 2 MVPs in the test net: https://Betex.io and https://GoBet.io. How Betex Can Be Profitable? Being transparent and provably fair, Betex is creating a win-win solution for traders and brokers. Traders can constantly earn by correctly indicating the short- or medium-term trend in the price change of the asset. The size of the trader’s reward is limited only by the volume of the general pool of rates and the ratio of the number of bets to each of the outcomes. Brokers receive a 2% commission of the total amount of their users’ bets. The larger the turnover, the more earnings a broker gets. Thereby, the white label mechanism provided by Betex allows to quickly set up the platform under their own name, as well as get technical support. The last but not least, investors in Betex can also profit from the exchange through participation in its ICO. To raise funds for the platform’s development and promotion, Betex is holding an ICO campaign and selling BETEX tokens. 2.5% of the platform’s turnover will be distributed among the BETEX tokens holders, according to their investments. Only qualified investors who have completed the KYC/AML process will have access to the Betex Token pre-sale. The timeframes and conditions of the general token sale will be announced later. Audure is the biggest automate trading solution, introducing its tie-up with Ethereum platform. The platform is powering the system of trading through automatic trading bots. What is auto trading bot? An automated trading systems or auto trading bot simplifies your trading and monitor your trade throughout the process. It is an algorithmic trading which act as an alternative person performing in your absence, indicating you all the possible signals of crypto trading. Built on programmed language, these automated trading bots may as simple as scrolling the page or as complicated as understanding the complex coding. Audure launched an automated trading platform to simplify crypto trading. Since several months Audure is around the industry assisting crowd of traders and crypto mavens throughout the trading. The trading bots of Audure is implemented with Zeta 4 Technology, Enhanced Fibre Disk currency passage system and AY-16 2016 Auto Boost Sysntax. The platform has already created its benchmark all around Bitcoin community and now advancing their users with Ethereum trading bot. Beyond Bitcoin trading bot, Audure enable users experience Ethereum trading bot on its platform. This implementation is trailed by profound understanding and research in a meeting conducted in November 2017. The Ethereum community experts and cryptorrency professionals examined the Eth future volume and growth. The discussion of crypto specialists predicted that Audure implementation of Ethereum on its platform would affluence its community member and will supplement profitable opportunities. The team excites with its new launch and encourage traders to move into the era of next biggest cryptocurrency with biggest automated trading solutions. If you’re heavily invested in crypto and you’ve been following the industry closely, you’ve probably heard of the famous bitcointalk post where the concept of ‘HODLING’ was first created. Since then, the phrase has caught on worldwide. Some ‘experts’ are questioning whether or not the method is successful, while others have been quick to show their support. But one thing’s for sure…it’s getting a lot of publicity. We’ve seen people using this method when investing in cryptocurrencies – primarily Bitcoin – but what if we brought it to ICOs too? Well, that’s exactly what CanYa has created. It’s called ‘The CanYa HODL Club’. In less than a year, ICOs have raised more than $3,000,000,000 – more than 30 times the amount that was raised last year in 2016. Considering that ICOs were almost unheard of as recently as five years ago, this statistic is staggering. However, along with the increasing popularity of ICOs, we are seeing a rapid increase in ‘pump-and-dump’ scams that companies are using to get rich fast. Unfortunately, this dissuades honest users, and drives them away from making investments in the future. This new initiative is designed to convince their users they are here for the long-haul, and that they want their community to join them in their journey. The premise is simple: members of the HODL club will be rewarded for the length of time they keep their tokens. After the ICO has ended, users will be rewarded with tokens once per month for the next three months. After this, members will be rewarded with tokens every year. 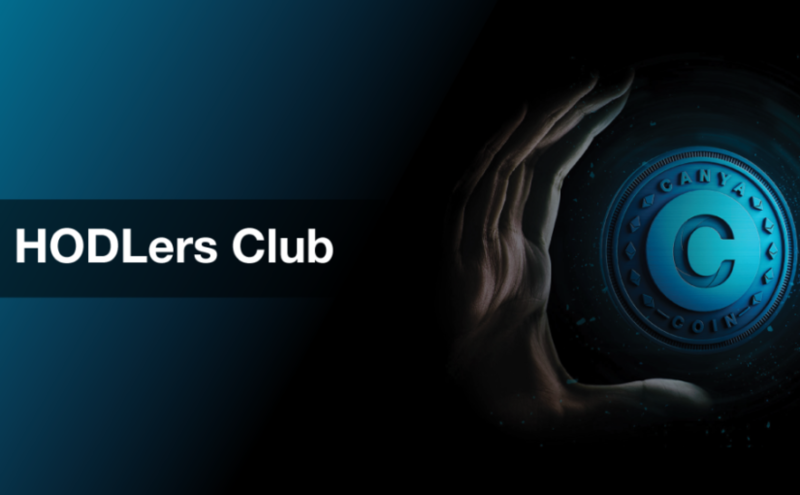 There is only one catch – once you withdraw any of your tokens from the exchange, you will lose membership to the HODL club, and will no longer be able to take advantage of the rewards. As the years progress, the number of members in the HODL club will slowly decline as people withdraw their tokens. As a result, each member will receive a higher proportion of tokens with each airdrop. Ultimately, members who stay for a longer will reap most of the rewards. This is a brand new idea, and CanYa are the first to implement anything like it. However, reception has been overwhelmingly positive. It might just be the call-to-arms we’ve been waiting for to convince crypto startups to put their money where their mouth is and up their game for future ICOs! CanYa is the global peer-to-peer marketplace of blockchain-powered services. The platform is designed to give users the freedom to hire local experts and skilled professionals from anywhere in the world. It is based on a trustless payment system. The marketplace is a true metoricacy – the best providers get the best work. Meanwhile, lower quality providers are left behind. The platform was initially founded in November 2015, when the team got together and laid out a plan for a new global marketplace of services – with an emphasis on quality. By December 2016, the team had released their MVP. By March 2017, they had soft launched in a major Australian city. The platform now hosts more than 4,000 service providers, including electricians, gardeners, and even crocodile wrestlers, and has over 8,000 users Australia-wide. CanYa’s ICO is currently underway. It began on the 26th November and will run through until the 26th December. This means there is only 12 days left to get involved. The funds raised throughout the ICO will be put towards the development of their decentralized platform, and to allow the release of CanYa to the rest of the world beyond Australia. The ICO is currently going well. So far, sales have exceeded 8,100 ETH – almost half of the 19,333 ETH hard cap. For every ETH you invest in tier 1, users will receive 1,200 CAN. There is currently under 1000 ETH worth of CAN up for grabs before tier 1 sales end. Their pre-sale ICO raised more than $1.5 million in less than 24 hours. There will be an overall total supply of 100 million CAN tokens in circulation.